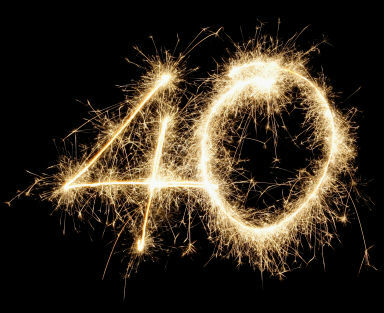 This week I turned 40. Yeah, that kind of cringe worthy moment. But here I am and here it is. And yet I feel no different. What does feel different is my attitude. In some ways good and some ways bad. On the positive side, I think my outlook on life has been altered. I was one of those pushy, ambitious types who was happy to slog away in a man’s world. I worked in the games industry when there weren’t very many women actually in development. I was ready to take over the world in my 20s. I still find it amazing to think of the crazy, ballsy things we did back then. Man, we thought we were invincible and we kinda were. But it’s funny, really. All of that stuff doesn’t mean a lot anymore and that’s what I mean about the change in outlook. I’ve watched some of those same people who I worked with back then turn into absolute industry stars and I’m happy for them, but here’s the key, I don’t envy them. No, I don’t envy the late nights or the big pushes to get to beta or a gold master. Or the caffeine highs,the whopping helpings of carbs and sugar just to get through it or the £50 cab fares to get home or better yet just sleep in the office. Nope I wouldn’t willingly go back into that. I prefer the simple life myself. It may not be the guts and the glory, but I get the time to stop, watch, and observe. I mean really see things for what they are. I can sit for hours and watch my bees loop lazily around their hives, take my dogs for a walk, plant some seeds, write some stories. I get to see the sun. I get to appreciate the way that the buds swell on our apple trees and then burst into blooms or leaves. I know it sounds like a lot of hippie crap, but it does make sense if you stop and really *feel* it. I’m out of the rat race and I’m loving it. On the negative side, being forty means getting old. I know some people are like, “That’s not old. You’re just getting started. The best years of your life are coming up.” I hope those people are right because what I’ve noticed over the last two years is how much my body really has changed coming up to this major milestone. I get the creaks and aches sometimes in the morning when I get out of bed. I hate to say it, but yes, I’m starting to find gray hairs (thank God for highlights), and my health is definitely not what it used to be. A couple of years battling an autoimmune disease or two has made me humble. But you know what, it’s okay. It really is. Life is a journey after all, and you have to accept the good with the bad. And no matter what way you slice it, you get just one go at it so take the time to enjoy it. And live it. So hello 40. It’s nice to meet you.